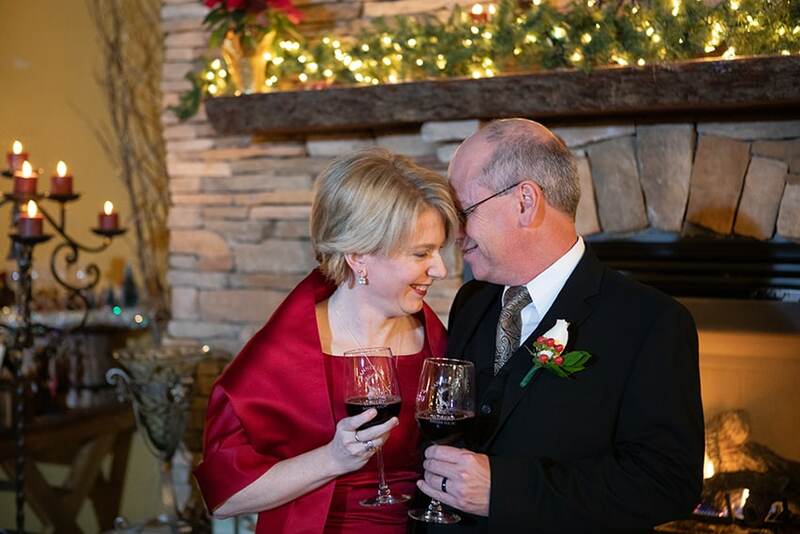 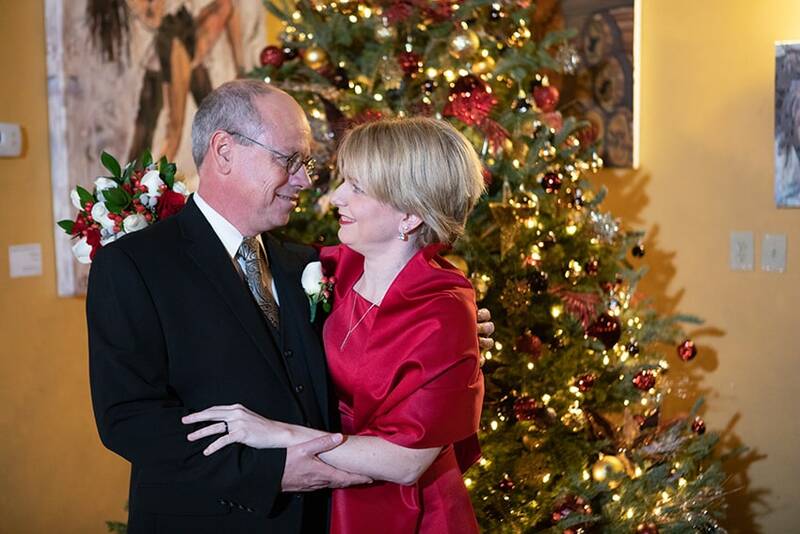 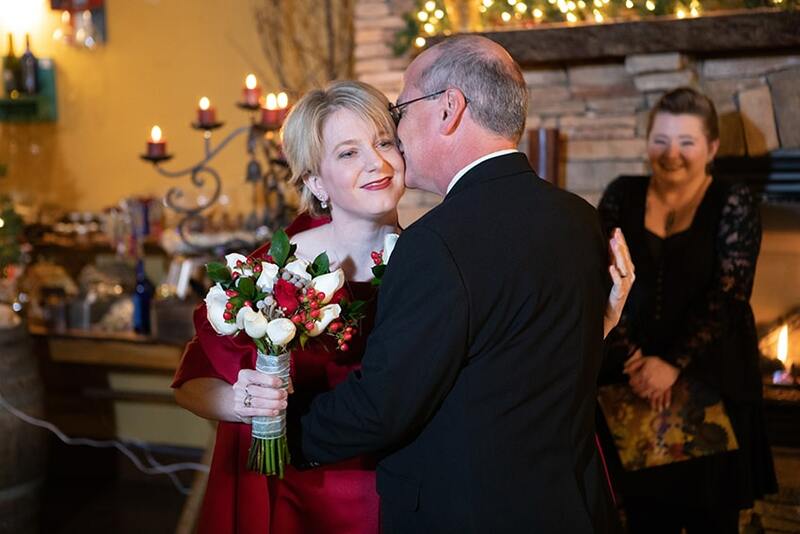 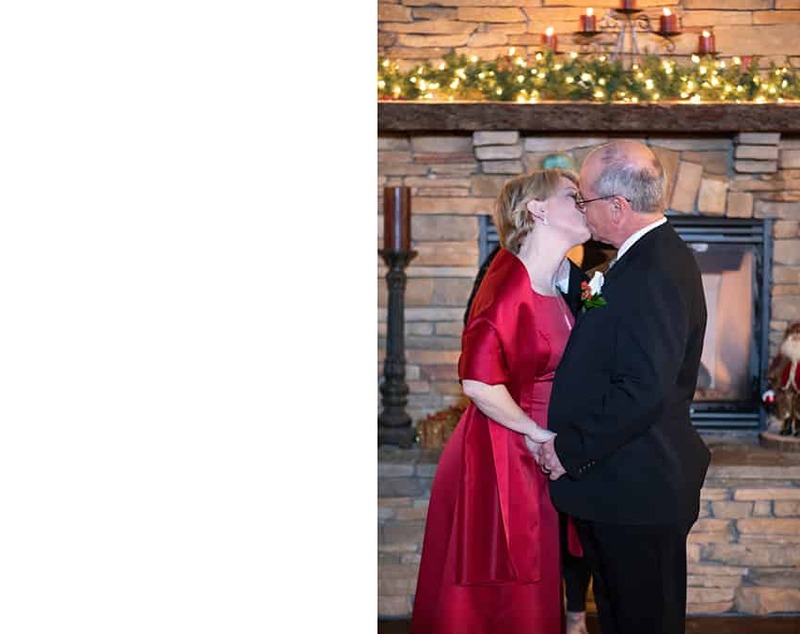 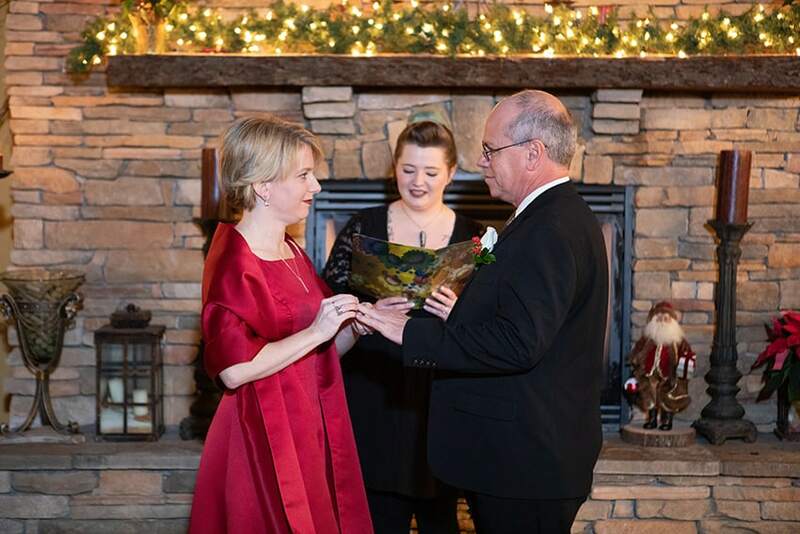 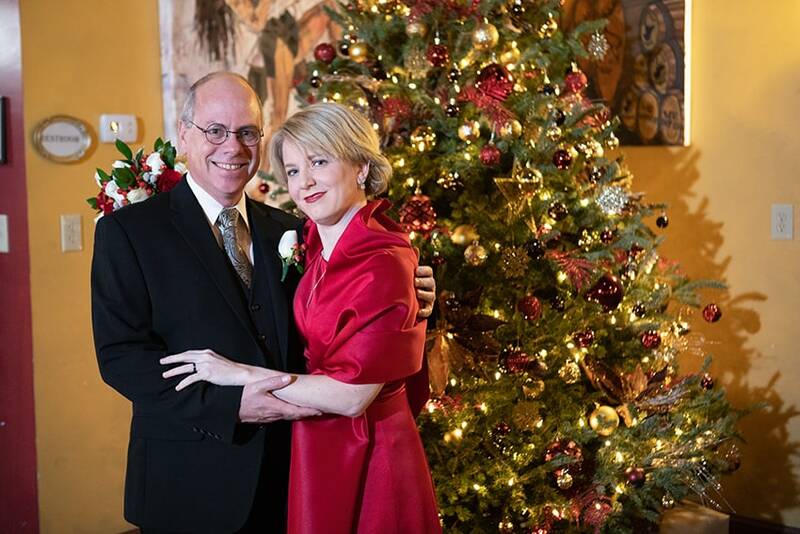 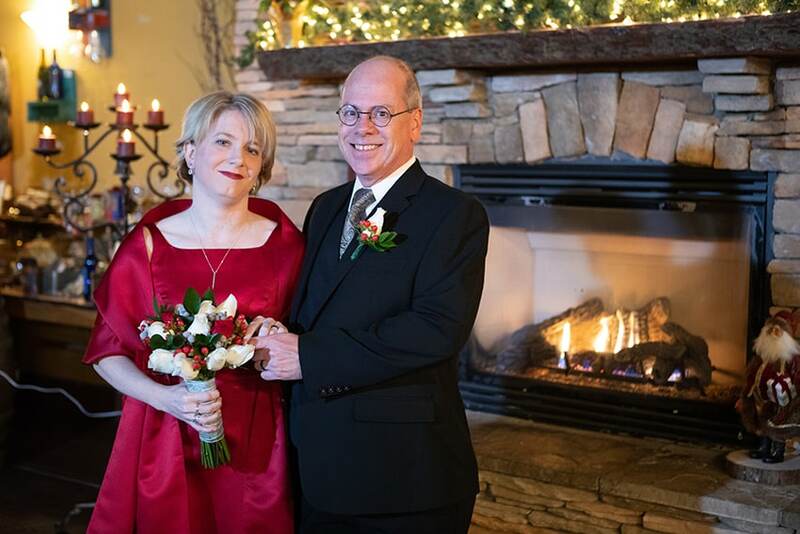 Brandy and Bill had a beautiful Christmas elopement at the Banner Elk Winery (on the day after Christmas in the evening). 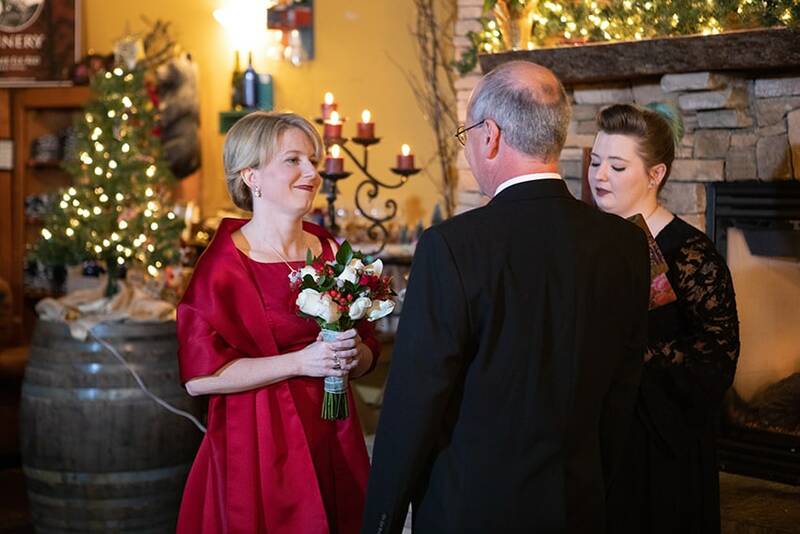 Brandy’s dress was the perfect style and color for the season and she looked stunning! 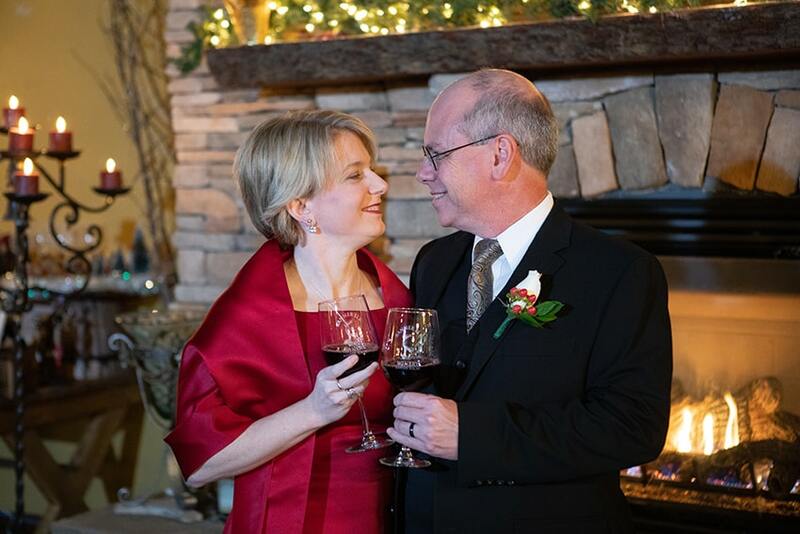 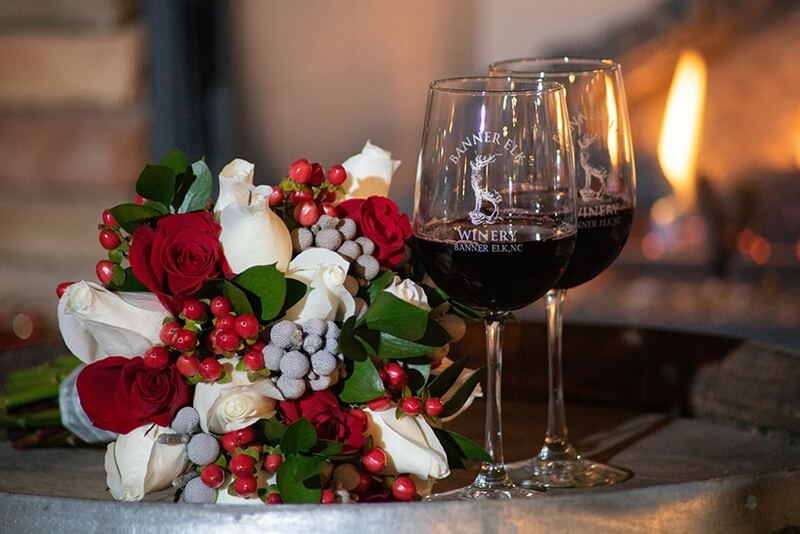 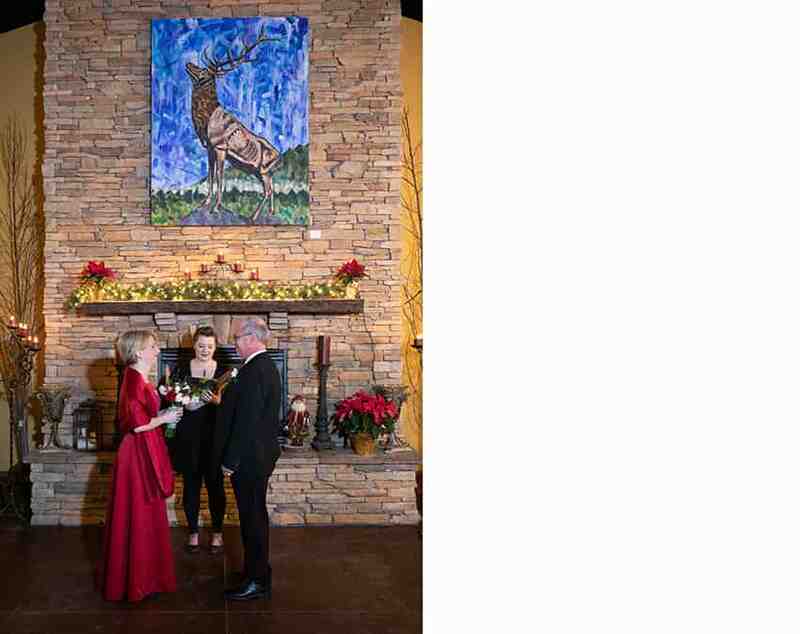 And the tasting room at the Banner Elk Winery is a simply beautiful setting for an evening elopement.